Here comes the latest Pakistani party wear frocks 2019 collection for girls. This is all about best elegant designer party dresses to make it easy for you to select the most appropriate evening dress. Naturally, it is difficult for girls to choose a perfect dress for any party, special occasion, eid, engagement or wedding. These season trends are same like previous year with little changes, long floor length frocks, Anarkali frocks, short shirts with palazzos. 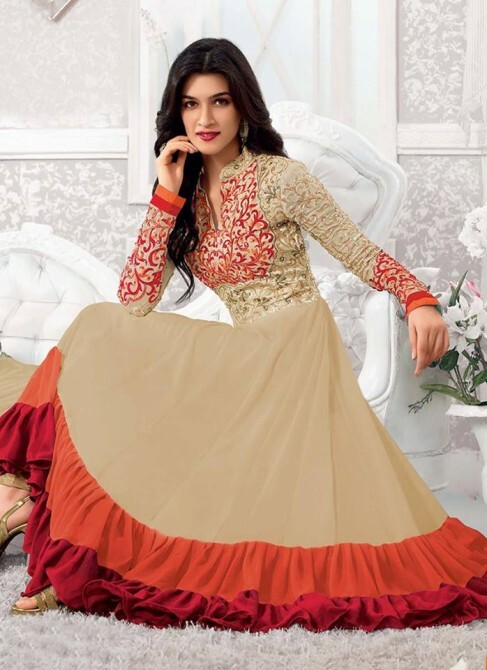 Silk, chiffon, georgette, jamaver is mostly used to create party wear dresses. You can opt for any color of party wear frock depending on your choice. Pakistani frocks collection 2019 is unique in design and all above fascinating in colors. If you are bold enough, you can experiment with different colors and to achieve a classic look you go for pastel. Nowadays, due to the rapid expansion of the fashion industry in Pakistan, different designers are creating elegant wedding and party wear collections. Designers have changed the fashion trends in Pakistan, most of the women and girls are opting for designer dresses to save time. Whenever you are going to select any dress keep in view these points. Pakistani dress designers like Maria B and Zainab Chottani party wear frocks collection 2019 for women has come into the market. Now you don’t need to look for you party wear dresses anywhere. We are going to present a larger collection of party wear frocks and dresses collection for women. This series will include latest formal party wear frocks for girls. 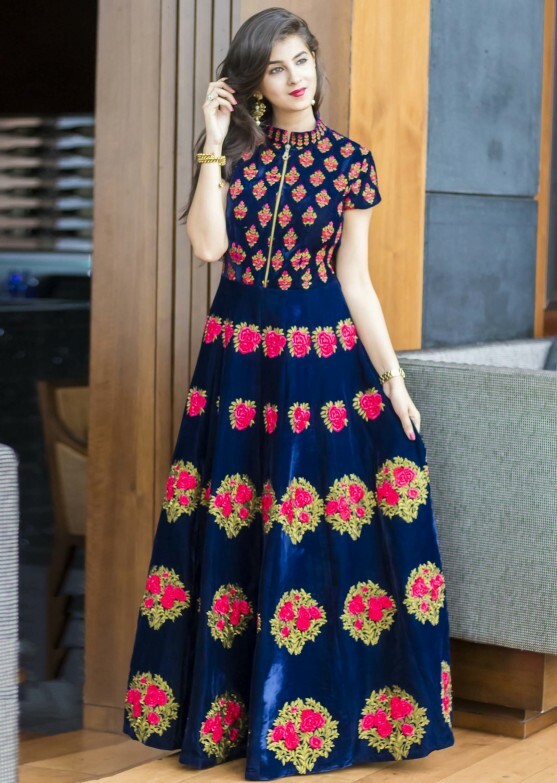 The recent arrival of lehenga frock style, Anarkali frock, full-length frock designs, knee-length frock, sleeveless long frock is on the floor. Get ready to have a look on the finest collection of party wear frocks found anywhere! We will show down our collection in detail. Here is the list of party frocks we are going to share with you. 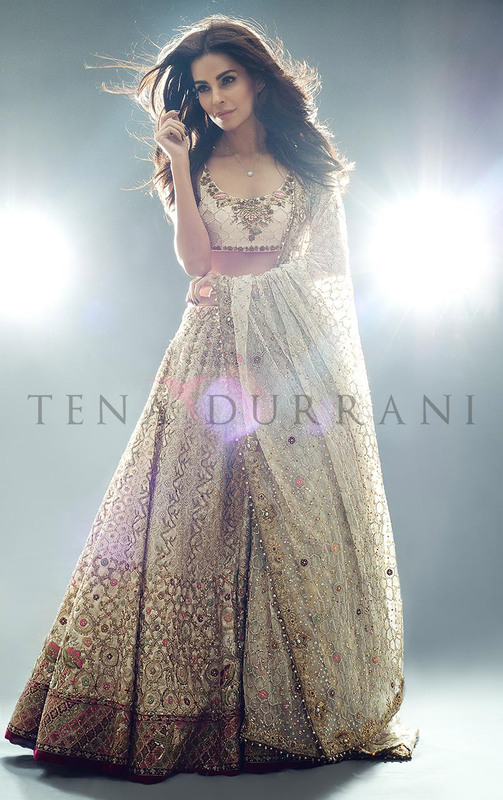 don’t miss the Pakistani designers bridal dresses ever best collection that Styleglow team present to you. Just wear your seat belt and get ready to have a look on the designers admirable compilation. There are many stuffs for sleeveless frocks like plain, chooridaar, embroidered and frocks with net work. Black embroidered dupatta with skin color sleeveless frock with golden laces at the hem looks nice and diligent. The zari work on the front side with glass and beads also adds to the beauty and glory. Now here is our latest and magnificent collection for heavily embroidered frocks. These frocks can be worn on weddings and parties as well. the brides and girls bith have the opportunity to wear it. 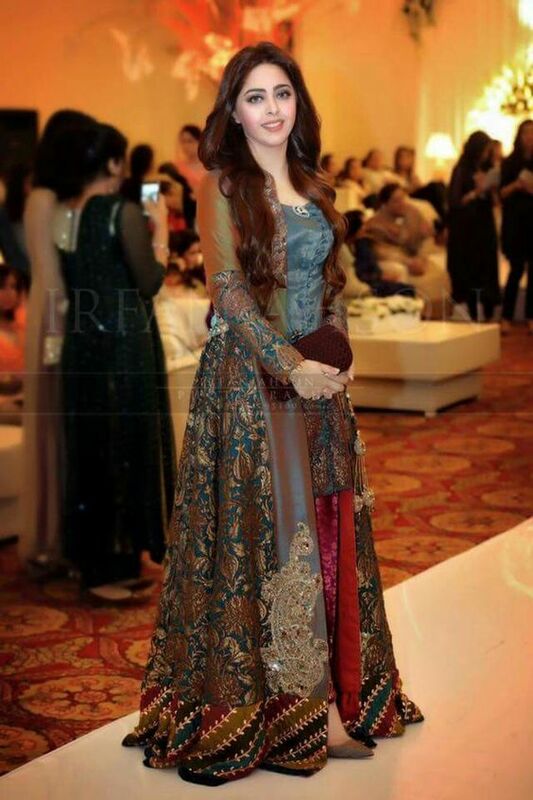 It has zari work on chiffon and sitara stuff. You may also check out out other embroidered collection for pakistani fashion frocks 2018. Maroon full sleeve frock with embroidery on the chest looks so decent and eye-catching that everyone wishes too and grab a piece for them. Its no doubt attractive and soothing as well. Our celebrities have also preferred this stuff. There are multi-colors in knee-length frocks. It adds grace to your personality and gives you a super gorgeous, flawless and perfect look. it has pleasant colors like sky blue with multi-color patches. Orange, red, skin, pink and magenta color combinations for 2019. You can explore our wedding frock designs here. It can be used for formal as well as bridal dressing. 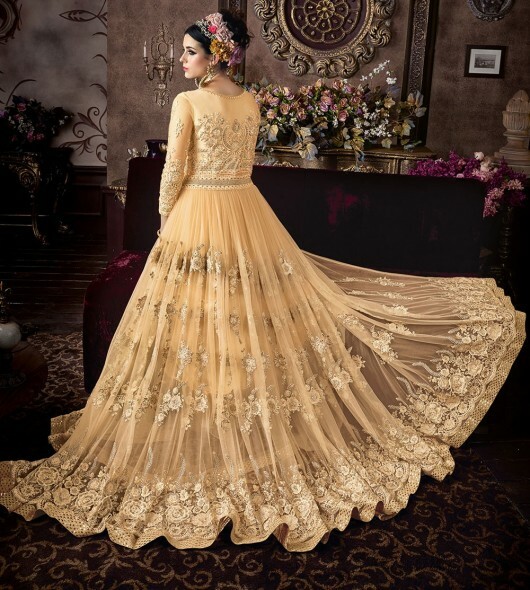 Anarkali frocks are royal in its appearance. 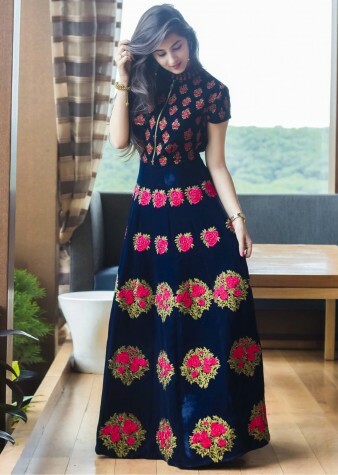 Like other frock style like full length and Angarkha style frock it also have many colors combinations like pink, yellow, black with zari and dabka work embroidered on fancy or branded stuff. Its real glory is in its look that make it stand out in the ceremony. 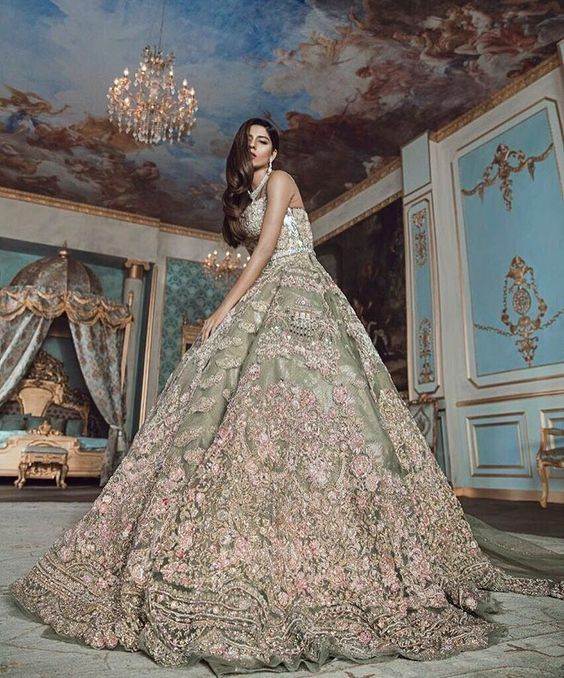 The top Pakistani designers bridal frock collection 2019 can be seen here. They are catchy at their first glance. Attracts the audience and makes you look super gorgeous. Pakistani fashion designers like Maria B and Zainab Chottani collection for party wear frocks is fascinating and appealing. Umbrella frocks, as their name points out, are basically the western idea. They use to wear it for their weddings. Pakistani party wears frocks 2019 collection has been presented above and surely you have made your mind in making a decision to chose a perfect design for you. 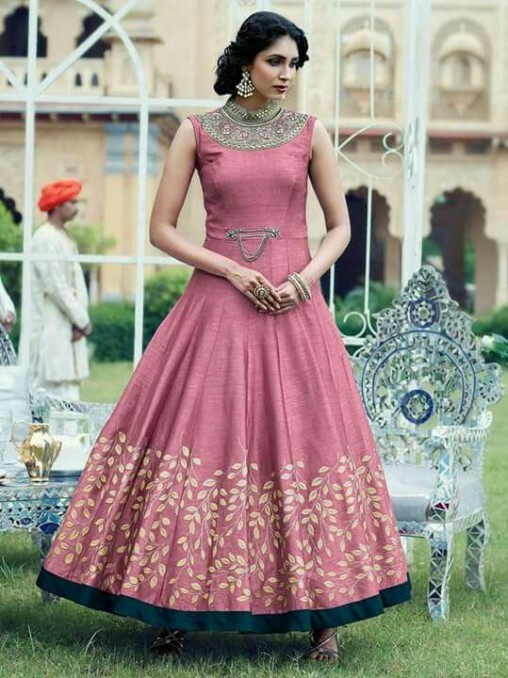 The sleeveless, short, long, Anarkali and umbrella frock designs are being well-appreciated among all wedding and party circles. This is trending day by day. So don’t be late and grab a fine piece for you.